Winter Term will officially begin with the opening of the Residence Halls at Noon, on Sunday, January 5th. NOTE: Any resident who moves out of the halls on or after January 5, 2020 will be charged for a minimum of 10 days room and board. NEW INCOMING STUDENTS: WELCOME to our Beautiful Campus! It is going to be a GREAT Term! Housing Staff will be on hand to welcome new and returning students starting at Noon on Sunday. NEW RESIDENTS: CHECK-IN IS FROM NOON – 3 PM. NOTE: ALL NEW RESIDENTS WILL NEED TO ELECTRONICALLY SIGN/SUBMIT THEIR CONTRACT AND COMPLETE & SUBMIT THEIR EMERGENCY AUTHORIZATION FORMS BEFORE YOUR ARRIVAL ON CAMPUS TO CHECK IN. 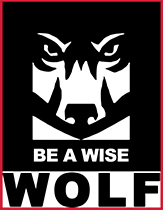 Contracts and Forms will be be released in late December, once available: Log onto the WOU Portal. Click on WOU University Housing and access both documents from the drop-down menu under Apps & Forms in the black header at the top of the page. PLAN TO CHECK INTO THE HALL WHICH YOU HAVE BEEN ASSIGNED TO. To check into your room or apartment, report as follows: (Current check in locations are marked with a yellow star on the campus map). We will take it from there! 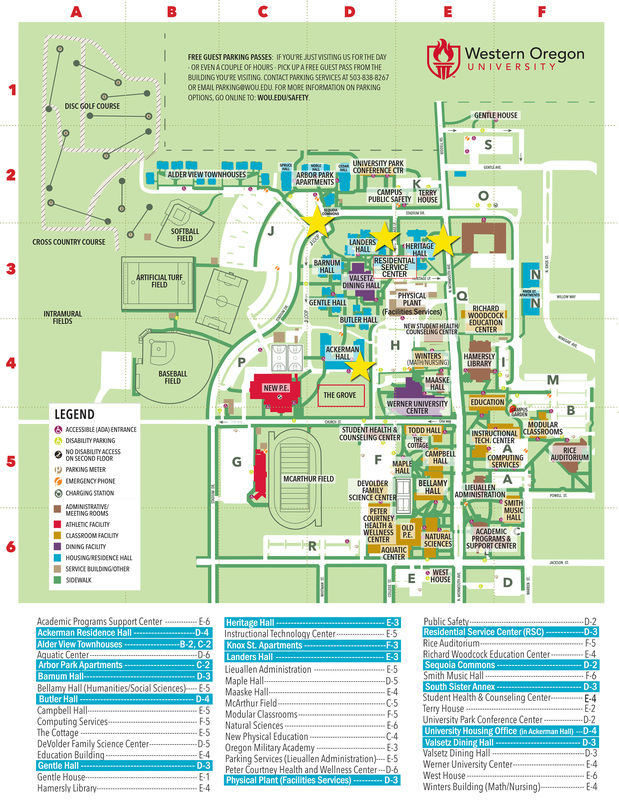 EMERGENCY LATE ARRIVALS 3 PM – 10 PM: In the event that you are unable to arrive between 3 p.m. and 10 p.m., please go to the Residential Service Center (RSC), located on the ground floor, north side of the Valsetz Dining Hall complex, (D-3 on the Campus Map). or call them for assistance: 503-838-8363. NOTE: Arrival and Check-ins after 10:00 pm are not available. Please come to the Housing Office the following morning. RETURNING RESIDENTS: WELCOME BACK TO WINTER TERM! Make it a good one! RETURNING RESIDENTS: Starting at Noon, you will have access to your room or apartment. Students who were placed in Butler Hall for Winter Break: You will have access to your academic room starting at Noon. 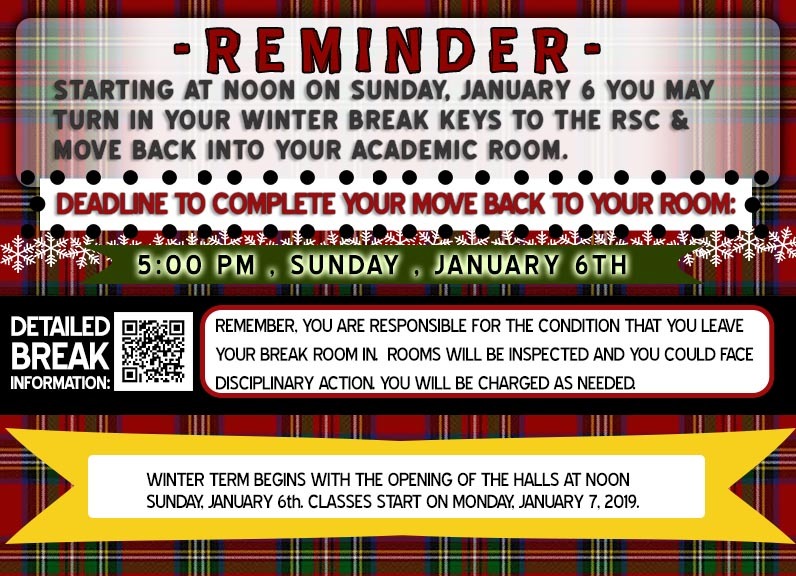 You must complete your move back to your regular room and turn in your Butler Room key/fob to the RSC by 5 PM, Sunday, January 5. REMEMBER: Any resident who moves out of the halls on or after January 6, 2019 will be charged for a minimum of 10 days room and board. ALL STUDENTS ARE RESPONSIBLE for knowing the information accessed on our Printed Documents page.